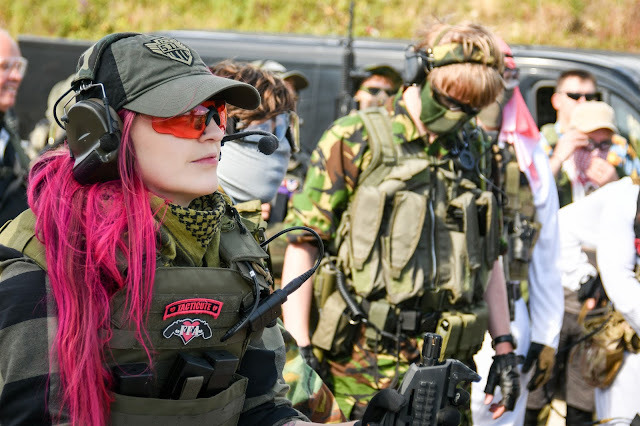 For those of you who are regular readers of Femme Fatale Airsoft will remember that in October I did an unboxing video and review of the Flyye Swift Plate Carrier in MultiCam to build an affordable tan team plate carrier set-up and the completed set-up is now here! For this build I've teamed up with Military 1st and Viper Tactical. What I wanted for this set-up was a lightweight assault set-up for a tan team uniform. So I've set this Plate Carrier up to have maximum ammo carrying capacity whilst still keeping it as lightweight as possible. 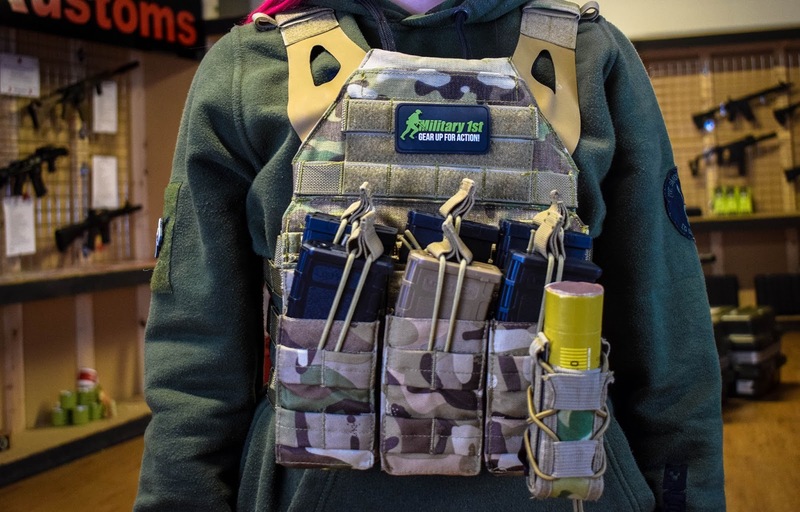 The Flyye Swift Plate Carrier has a very similar look to a JPC which makes it compact and as it weighs just over a kg with the plates it's a great option for longer games. It's hidden admin pouch at the top of the carrier is also a cool little bonus which can be used to keep maps, intel etc. For this build I added the Viper Tactical Duo Treble M4 Mag Pouch which gives you the option of carrying up to 6 M4 mags - LOADS of ammo for when you know the firefights are going to be long and intense! I also added a Nuprol PMC Open Pistol Pouch which is a great little versatile pouch that can hold anything from a pistol magazine to a 40mm grenade. For the pictures I featured an Enola Gaye Flashbang 1.0 to show you the versatility of this pouch. 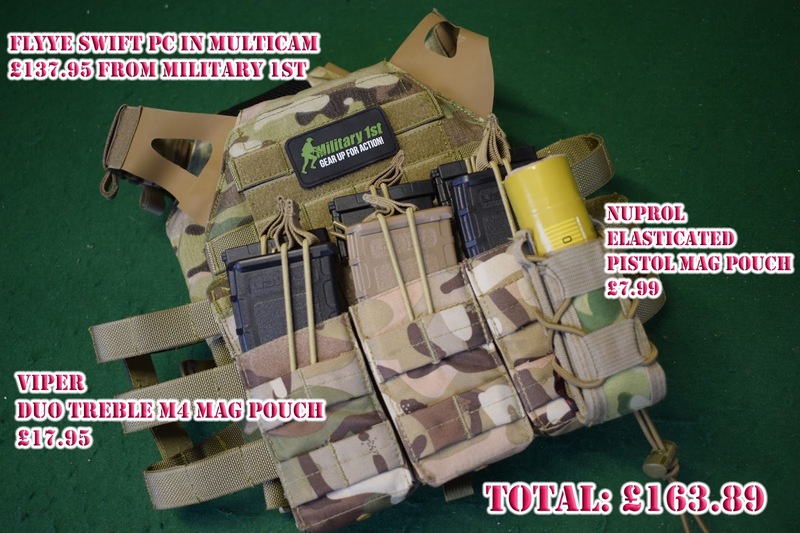 So altogether we're looking at £163.89 for the whole build - £137.95 for the Plate Carrier itself from Military 1st, £17.95 for the Duo Treble Mag Pouch from Viper and £7.99 for the Elasticated Pistol Mag Pouch from Nuprol.